BornOnline is being used by many hospitals as an option for antenatal education, with some hospitals seeing it financially viable to use BornOnline as their only form of antenatal education. The company BornOnline is founded by three registered midwives who are passionate about preparing women for pregnancy, birth and the postnatal period. Zoe, Ebony and Alinta are featured in the filming of the classes and are confident the education provided is evidence based and adheres to recent research, following the current RANZCOG and NICE guidelines for maternity care. The breastfeeding class also adheres to the Breastfeeding Health Initiative, which is required for Baby Friendly Hospital Accreditation. Featured in our classes are interviews with a reputable Obstetrician, Lactation Consultant, various Midwives and a Child Health Nurse. This exhibits the quality of content that is shown beyond what can be delivered in traditional antenatal class. 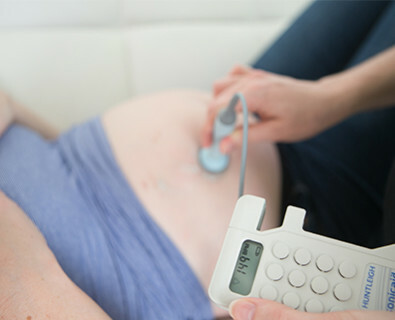 BornOnline’s midwives work in the public health system of Australia. As midwives they are aware that most public health systems preach the same information and mostly practice in the same manner throughout Australia, the only difference depends on what Obstetrician is on call for that shift. BornOnline midwives have therefore ensured that all education given is streamed towards a woman having her baby in an Australian Hospital. If you would like more information on what is covered in the classes please do not hesitate to get in contact with the BornOnline Midwives. If you have any questions or queries about BornOnline, please do not hesitate to get in contact with us. You can either email us at admin@bornonline.com.au or fill out the below online form.